I am so excited to be the Guest Designer for Jaded Blossom this month! Jaded Blossom is the perfect company for creating your party favors or gifts for any occasion. There's something for everyone. 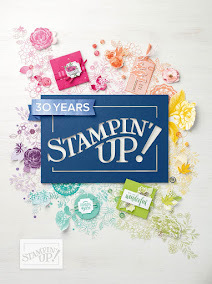 You can find anything from sweet traditional sentiments to more sassy sayings (which is totally me). Thank you to Michelle and Candace for letting me guest design this month. I decided to bring out my Cricut Explore and used the Tags, Bags, and Boxes 2 for the gable box. I used the Playground cartridge for the little girl. 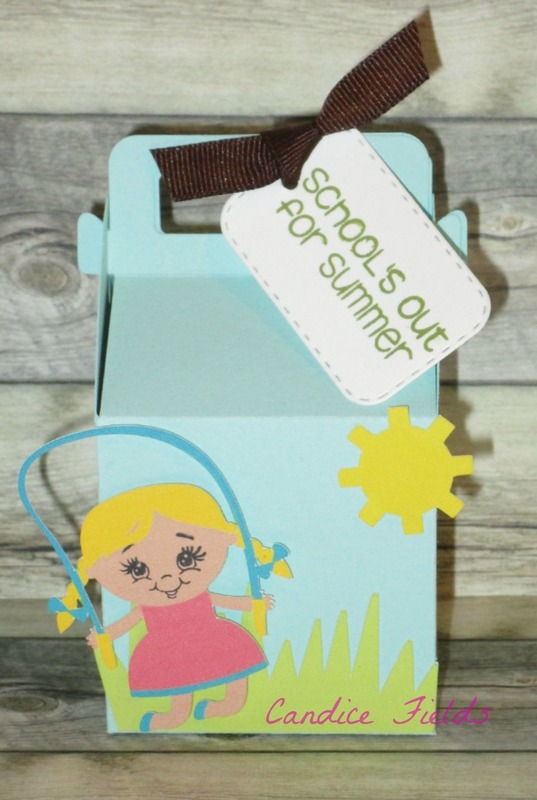 After putting the box together, I used Jaded Blossom Mini Tags 2 die for the tag and used the School Rules stamp set for the sentiment. I don't about you but I am ready for the summer, especially since I am going to be kid free for a couple weeks. This makes a great gift to fill with candy and give to my daughter's class at the end of the year. 1. Project must be new for this challenge, no back linking. 2. Project must have a Jaded Blossom stamp on it somewhere. 3. 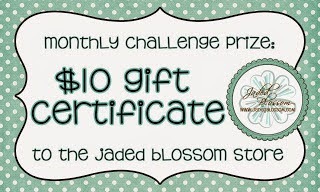 Link up your project at Jaded Blossom. Participants will be able to participate in the challenge all month long and must link up by the Saturday before the next challenge. The previous challenge winner will be posted with the new challenge. Be sure to stop over to Jaded Blossom and check out what the amazing Design Team has created for more inspiration. We hope you come join in the fun! 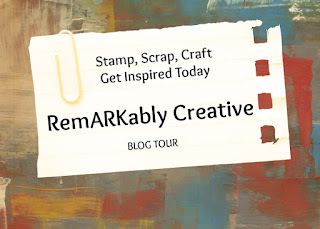 We'd love to see what you create!! Again, thank you so much Candace and Michelle for having me join your awesome Design Team this month. Congrats on your GDS over at JD! Awesome!! A Totally cute treat!! such a cute little treat box ! great summer project ! !